Quick access to food-grade tubes, stainless steel valves and fluid process technology equipment. 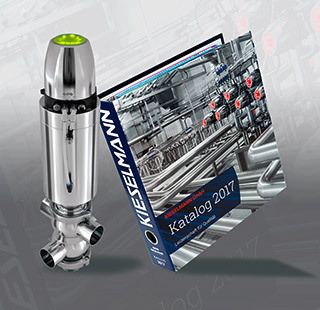 The new KIESELMANN product catalogue with more than 8,000 products. First-class connections. Food-grade stainless steeel tubes with optimum surface properties. For a clean and safe production. Powerful against contamination, environmentally friendly. Doppelleu Braukeller: Complete automation, complete success. We value people with the desire to do things better.